Each full-colour picture book introduces and reinforces an essential skill through a fun-to-read tale: nouns, verbs, adjectives, pronouns, capitalization, commas, quotation marks, sentence structure, and proofreading. 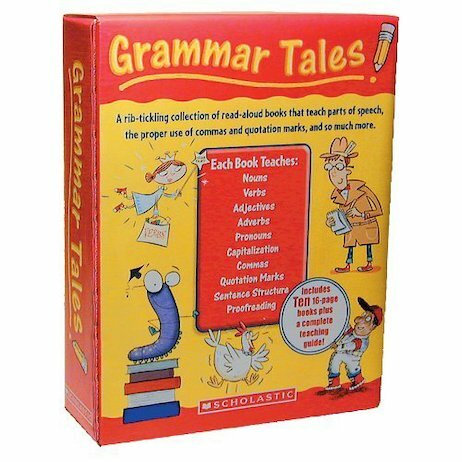 Includes a skill-building teaching guide filled with lessons, reproducibles, and mini-book versions of each story. A great way to help every child meet the language arts standards and become a strong, confident writer! Each story includes call-outs for helpful information!